The hydrazine-fueled main engine mounted to the base of the Israeli Beresheet lunar lander is set to ignite around 1415 GMT (10:15 a.m. EDT). The six-minute firing will reduce Beresheet’s velocity relative to the moon by more than 600 mph (about 1,000 kilometers per hour), enough for lunar gravity to capture the spacecraft in an elongated orbit. If the robotic spacecraft misfires Thursday, it will continue past the moon and escape Earth’s gravitational grasp to head deeper into the solar system, bringing the mission to an end. “It’s a simple maneuver, but it’s very important and very critical,” said Ido Anteby, the CEO of SpaceIL, the non-profit organization that led the development of the Beresheet mission. Beresheet aims to become the first privately-funded spacecraft to orbit another planetary body after Thursday’s lunar capture maneuver. With a successful touchdown April 11, the craft will become the first private probe to land on the moon. The spacecraft will target a landing in the Mare Serenitatis, or Sea of Serenity, region on the upper right part of the moon as viewed from Earth. Beresheet has been circling the Earth since launching Feb. 21 from Cape Canaveral aboard a SpaceX Falcon 9 rocket. 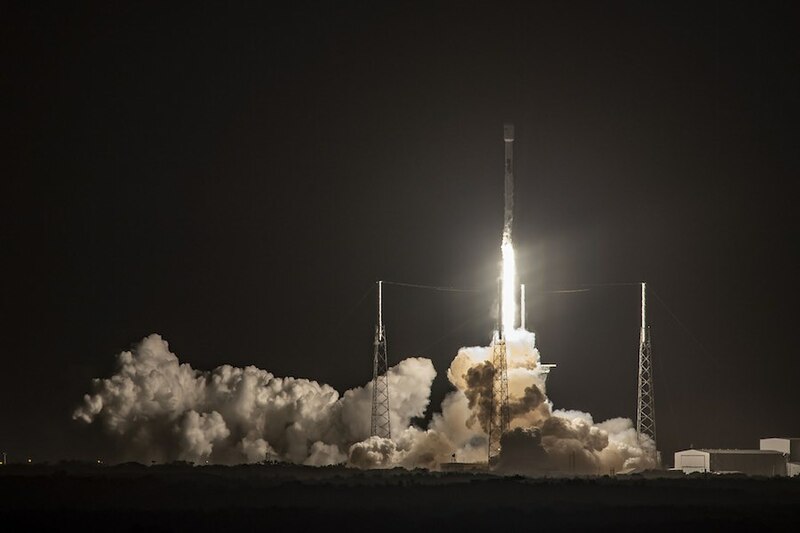 The lander rode into space as a piggyback payload on the Falcon 9, joining an Indonesian communications satellite and a U.S. Air Force space surveillance satellite on the same rocket. The Falcon 9’s upper stage released Beresheet in an elliptical orbit ranging as high as 43,000 miles (69,000 kilometers) in altitude. After separation, the spacecraft deployed its four landing legs. With the lander gear extended, Beresheet has a diameter of around 7.5 feet (2.3 meters) and measures 4.9 feet (1.5 meters) tall. A series of main engine burns nudged Beresheet into longer orbits that took the spacecraft farther from Earth. “Since we were launched about five weeks ago, we’ve been circling the Earth in ever-growing orbits, and our current orbit brings us to about 420,000 kilometers (261,000 miles) above Earth, just above the moon’s trajectory. We’ve passed our final perigee, that’s the closest point of approach to Earth, a couple of days ago, successfully,” said Opher Doron, general manager of Israel Aerospace Industries’ space division, which built the Beresheet spacecraft and operates the lander’s control center. Beresheet has traveled more than 3.4 million miles — about 5.5 million kilometers — since departing Cape Canaveral. Beresheet also missed one of its orbit-raising engine burns in late February due to a computer reset, but engineers kept mission on schedule for its arrival at the moon. 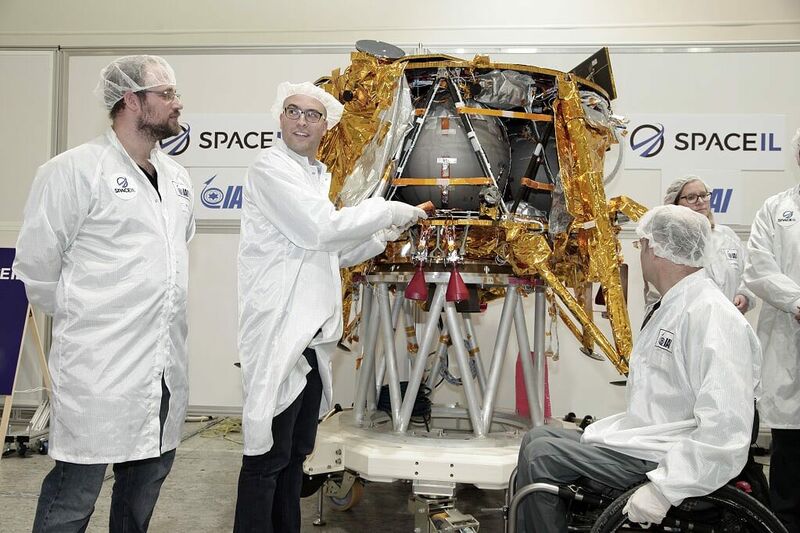 Beresheet must accomplish at least 70 percent of the impulse planned for Thursday’s lunar capture burn in order to be snared into orbit around the moon, according to Yoav Landsman, Beresheet’s deputy mission director at SpaceIL. If Thursday’s maneuver goes according to plan, Beresheet will enter a 14-hour orbit ranging between 310 miles (500 kilometers) and roughly 6,200 miles (10,000 kilometers) from the moon. Further engine firings over the next week will place the lander in a circular 124-mile-high (200-kilometer) orbit in preparation for landing. “Once we reach the right point we’ll be just giving the spacecraft the command to start the landing phase,” said Yariv Bash, a co-founder of SpaceIL. “From that moment on, the spacecraft will automatically start landing on its own, all the way to the surface of the moon. Morris Kahn, a South Africa-born Israeli billionaire, put $40 million of his fortune toward the mission, and serves as SpaceIL’s president. Other donors include Miriam and Sheldon Adelson, a casino and resort magnate who lives in Las Vegas. IAI, the lander’s prime contractor, also invested some of its own internal research and development money into the program. The entire mission has cost around $100 million, significantly less than any government-backed lunar lander. Still, raising $100 million from private donors proved a challenge. “Though the Google Lunar X Prize went unclaimed, we are thrilled to have stimulated a diversity of teams from around the world to pursue their ambitious lunar missions, and we are proud to be able to recognize SpaceIL’s accomplishment with this Moonshot Award,” said Anousheh Ansari, chief executive officer of the X Prize Foundation. 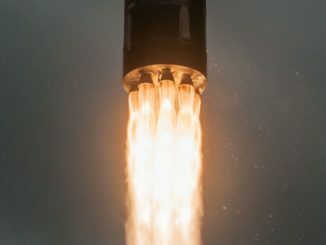 A successful landing will not only mark a first for the private space industry, but will also thrust Israel into an exclusive group of nations that have put a spacecraft on the moon. So far, the United States, Russia and China have successfully landed probes on the moon. Beresheet means “genesis” or “in the beginning” in Hebrew. Because of the project’s limited budget — a fraction of the cost of government-funded lunar landers — the Israeli team had to adapt technology designed for other purposes to the moon mission. For example, the main thruster on the lander is a modified engine typically used to adjust the orbits of large communications satellites. During the landing sequence, the engine will be switched on and off to control the lander’s descent rate. It can’t be throttled. Most of the systems on the spacecraft were built without a backup to control costs. After landing, Beresheet will collect data on the magnetic field at the landing site. NASA also provided a laser reflector on the spacecraft, which scientists will use to determine the exact distance to the moon, and to pinpoint the lander’s location. 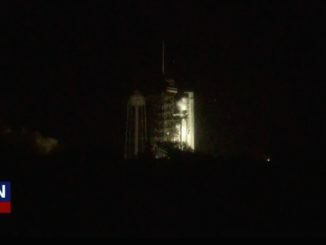 The U.S. space agency is also providing communications and tracking support to the mission. The Israeli-built lander is designed to function at least two days on the moon, enough time to beam back basic scientific data and a series of panoramic images, plus a selfie. 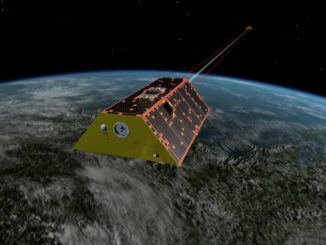 The laser reflector is a passive payload, and will be useful long after the spacecraft stops operating. Doron said IAI originally did not see much of a future for the custom-designed lander design after the Beresheet mission. But that is changing as NASA and the European Space Agency look at purchasing commercial rides to the moon for science experiments, and eventually people. IAI and OHB, a German aerospace company, signed an agreement in January that could build on the Beresheet mission by constructing future commercial landers to ferry scientific instruments and other payloads to the moon’s surface for ESA. According to Doron, IAI is also in discussions with U.S. companies to use Israeli technology developed for the Beresheet project on commercial lunar landers for NASA’s Commercial Lunar Payload Services program. NASA selected nine companies last year to be eligible to compete for contracts to transport science and tech demo payloads to the lunar surface. SpaceIL and IAI were not among the winners, but Israeli engineers could partner with U.S. firms to meet NASA’s requirements.